There were plenty of Azeri commentators and officials who criticized Pres. Sargsyan’s speech at the U.N. General Assembly last week, but I did not come across any Armenian commentators or government leaders who attacked Pres. Aliyev’s ugly speech at the U.N. on Sept. 20. The Azeri President’s lengthy remarks were full of lies and distortions: let’s try to set the record straight on some of them. The first line of Aliyev’s speech starts with a usual exaggeration and untruth, stating that “Armenia occupies 20 percent of Azerbaijan’s territory of Nagorno-Karabakh and seven other regions of the country.” The truth is that Armenia does not occupy any Azeri territory. Nagorno-Karabakh (Artsakh) was never a part of Azerbaijan. It was an autonomous Armenian-inhabited region gifted to Azerbaijan by Soviet dictator Stalin in 1923. The Armenian population of Artsakh finally liberated themselves after decades of brutal Azeri occupation. Furthermore, the Azeri claim that Armenia occupies 20% of Azerbaijan is false, as the region liberated by Armenians is around 15%, not 20%. Pres. Aliyev then proceeds to state: “Nagorno-Karabakh is an ancient and historical part of Azerbaijan.” This is a complete lie as Azerbaijan did not exist historically as a state. It was created in 1918 with the help of the Turkish army. Aliyev then repeats the biggest lie about the so-called “Khojaly genocide” of 600 Azerbaijanis by Armenian troops during the Artsakh war. There are various versions of what exactly took place in Khojaly during that conflict, including Azeri soldiers blocking the escape routes of their own population who were then trapped and became war casualties. But even if there were a shred of evidence that 600 Azeris died during that conflict, which would be unfortunate, Azerbaijan shamelessly denies the Genocide of 1.5 million Armenians by Turkey starting in 1915, and yet has no qualms of perpetuating the lie that the deaths of 600 Azeris were a genocide! Pres. Aliyev continues his series of lies, claiming that Armenia was the one that attacked Azerbaijan in April 2016. The whole world knows that Azerbaijan was the initiator of that attack. Exposing his own lie, he warns that Azerbaijan will attack again! Aliyev then boasts that Azerbaijan in 2011 was elected as a non-permanent member of the U.N. Security Council with 155 countries voting in favor. What Pres. Aliyev neglects to mention is that most of these votes were secured by lavish gifts to the U.N. Ambassadors, as we had exposed in my weekly column in 2011. The President of Azerbaijan shamelessly proclaims from the U.N. podium that the “development of democracy and human rights protection are among the top priorities of our government. All fundamental freedoms are fully provided in Azerbaijan, including freedom of _expression_, media freedom, freedom of Assembly, religious freedom.” Everyone knows that Azerbaijan is a dictatorship with corrupt leaders, and that its jails are full of human rights activists and independent journalists! Aliyev then goes on to announce that “representatives of all ethnic groups and religions live in Azerbaijan in peace and harmony.” Besides Armenians, who were victims of ethnic cleansing and are potential victims of a new Azeri Genocide in Artsakh, there are many other minorities in the country who are routinely discriminated against and jailed. Calling Azerbaijan a democracy and “one of the world’s most recognized centers of multiculturalism,” is an outrageous statement! The string of lies, distortions and exaggerations is so long in Pres. Aliyev’s U.N. speech that one needs to write an entire book to expose all of his falsehoods! Fake sultan at dirty work, and the free world gives him a free pass! Such a tolerant country (NOT). JUST PAST 7 p.m. on May 29 in Tbilisi, the capital of Georgia, an independent journalist, Afgan Mukhtarli, called his wife from a cafe to say he was coming home. She asked him to buy bread, according to a friend of the journalist who was at the cafe. The friend departed, but Mr. Mukhtarli never made it home. A day later, his wife discovered he was in neighboring Azerbaijan, in jail. Fearing persecution as a journalist, Mr. Mukhtarli had fled Azerbaijan two years earlier. In a brazen example of a police state reaching beyond its borders, Azerbaijan apparently dragged him back. Mr. Mukhtarli, an outspoken critic of the authoritarian Azeri president, Ilham Aliyev, had investigated corruption in Mr. Aliyev’s defense ministry. At the time of his disappearance, he was investigating Mr. Aliyev’s personal assets in Georgia; he had also contributed reports to Meydan TV, an independent digital media service reporting on Azerbaijan. Mr. Mukhtarli was questioned in the politically motivated prosecution of another reporter, Khadija Ismayilova, and he finally fled to Georgia in 2015. According to accounts Mr. Mukhtarli gave his wife and lawyer, after leaving the cafe he was abducted near his home in Tbilisi, beaten, blindfolded, driven in three separate cars and brought to a border crossing with Azerbaijan, where 10,000 euros were stuffed in his pockets. On the Azeri side, he was charged with smuggling and illegal border crossing. Months later, he is still in detention in Baku. The Mukhtarli affair has a certain stench. Mr. Aliyev easily took his strongman methods into the heart of another country, Georgia. The European Parliament passed a condemnation, but otherwise this kind of behavior has not drawn the sharp international censure it deserves. In a brief statement, the State Department said it was “disturbed by the reported abduction.” Such timidity may confirm to Mr. Aliyev that the United States under President Trump doesn’t really care when human rights and the rule of law are trampled abroad. We know that dictators like to trade methods and tactics with each other: clamping shut overseas-based nongovernmental organizations, warning of “foreign agents” lurking around every tree, smothering free speech online. Mr. Aliyev may have been reading up on China’s experience snatching dissidents across frontiers with impunity. Mr. Aliyev is so well practiced in the illiberal toolkit that for all we know, he may be teaching the dictatorship seminar himself these days. Sadly, the classes are full. Another reason this affair stinks is the murky role of Georgia. Was a nation with European Union and democratic aspirations complicit in Azerbaijan’s cross-border abduction? Georgia’s authorities denied being involved and promised an investigation, but so far very little has been produced. Georgia ought to come clean as soon as possible about the abduction, and Azerbaijan must free Mr. Mukhtarli, the victim of an involuntary forced march across an international frontier. It would also be nice if more governments denounced Mr. Aliyev’s nasty tricks. It might restrain tyrants’ reach. INNSBRUCK, Austria (A.W. )—The European Ombudsman Institute (EOI) recently issued a statement calling on Azerbaijani media outlets not to spread misinformation, after reports surfaced claiming that Azerbaijani Ombudsman Elmira Suleymanova had prevented Artsakh (Nagorno-Karabagh) Ombudsman Ruben Melikyan from speaking at the organization’s General Assembly in Bucharest. “The EOI is only interested in Human Rights and Protection of them and not in political issues,” read a part of the statement signed by EOI Secretary General, Dr. Josef Siegele. Some media reports out of Azerbaijan went as far as to claim that Suleymanova had successfully kicked Ombusdman Melikyan out of the EOI. The EOI statement explains that members of the independent organization can be institutional, individual, or correspondent members on the basics of EOI bylaws. While Armenia and Azerbaijan are institutional members, Nagorno-Karabagh is registered as an individual member, represented by Melikyan. In his statement, Secretary General Siegele also noted that Melikyan had not been kicked out of the organization, since the EOI does not get involved in political issues or allow the exertion of political influence within the organization. Speaking to the Armenian Weekly, Ombudsman Melikyan said his office will be “proactive and participatory,” regardless of the spread of Azerbaijani misinformation. “Effective implementation of human rights standards requires the constant exchange of experience and practices, and as a part of the human rights global community we are not going to be stand idly by. Rather, we are and we will be proactive and participatory,” Melikyan told the Armenian Weekly. This is not the first time that the Azerbaijani media has recently been criticized for distorting information. Yesterday, member of Bulgarian Parliament and Parliamentary Assembly of the Organization for Security and Cooperation in Europe (OSCE-PA) Special Representative on the South Caucasus Kristian Vigenin accused Azerbaijani media outlets of misquoting him during a recent visit to Baku. Some media outlets in the Azerbaijani capital had claimed that Vigenin had called for a recomposition of the OSCE Minsk Group. “During my recent trip to Azerbaijan, I was misquoted in local news media. While an immediate correction was requested and implemented, other news sources had already made use of the inaccurate information. Therefore, I have to reiterate that I have never suggested a recomposition of the OSCE Minsk Group,” Vigenin said in a statement. Vigenin went on to say that he supported the mediation efforts of the OSCE Minsk Group and its co-chairs, and he vowed to continue to work on the parliamentary level to contribute to their efforts aimed at finding a peaceful solution to the conflict in Nagorno-Karabagh. on the need for SIC sanctions against Armenia because of "occupation"
status quo for Baku is not acceptable. Azerbaijan human rights activists Leyla and Arif Yunus, who had to leave their homeland for political reasons, have described the situation in Azerbaijan as "heart-breaking and disappointing". They also described the conditions, which prisoners of conscience are kept in prisons, attacks on pro-Western forces, life in immigration, their future plans, and other issues. Human rights activists and former political prisoners Leyla and Arif Yunus left Azerbaijan two years ago. In Azerbaijan, the authorities closed the Peace and Democracy Institute, which Leyla Yunus was the head of. Leyla and Arif Yunus were accused of high treason and tax evasion. Leyla Yunus was sentenced to eight and a half years of imprisonment and her husband, Arif, was sentenced to seven years. Later, the Yunuses managed to leave Azerbaijan. At present, they live in the Netherlands. [Netgazeti] How has your life changed after leaving Azerbaijan? [Leyla] For me, this marked the beginning of a third stage in my life. The first was my childhood. The second began when I married Arif. We have been together for almost 40 years. And the third is the one we are going through right now. We are alone here. At the age of 60, we were forced to leave Azerbaijan - our home. I have the feeling that my native Baku is occupied by a hostile dictator. [Arif] I am an expert in migration issues. I am the author of a book on the migration of Azerbaijan's population. I have taken a lot of interviews from migrants. However, at present, I am a migrant myself. But the most important change is that we have lost our motherland. It is good to move to another country when you are a child. However, at the age of 60, this is effectively impossible. Our heart and soul are in Azerbaijan. Our friends and also our parents' graves are there. However, we were lucky to happen to be in the Netherlands. This is a country, where you begin regretting that you were not born here. At present, our life consists of two parts: On the one hand, we spend a lot of time seeing doctors. As you may well know, we have had serious health problems after the arrest. However, we are happy, because our son is with us now. On the other hand, we continue to work on human rights. [Netgazeti] Which field do you carry on your activities in? Do you encounter problems, because you are not in Azerbaijan? [Leyla] In 2015, when we were in prison, our son registered the Peace and Democracy Institute in the Netherlands as an NGO. It is precisely within the frameworks of the institute that we currently carry out our activities in Europe. Here, we keep doing the things we did in Baku. Together with our Azerbaijani colleagues, the Peace and Democracy Institute founded a centre for the rights of prisoners of conscience. It comprises our colleagues - human rights activists, former prisoners of conscience, and representatives of intelligentsia. At present, the list includes about 160 political prisoners. We constantly monitor the situation with political prisoners, of course. It is difficult to do this from distance. However, we are experienced and therefore, we do the work. From this point of view, major restrictions were imposed on us in Azerbaijan. We failed to get our organisation registered there. We appealed to the Justice Ministry six times. A short while ago, I read over the judge's decision, which said that our organisation had been granted registration. It follows that they wrote things having no information at all. There were other restrictions, too, for example, when we wanted to monitor prisons. You enjoy complete freedom from this point of view here. The fact that we live in the age of the Internet is another big advantage. If it was not for the Internet, we would experience difficulties contacting Azerbaijan. For example, when in May 2017, the so-called spy network was exposed in Azerbaijan and about 400 people faced the danger of arrests, we managed to obtain information from our close friends by means of Facebook. [Arif] I am not sure we would be able to obtain the information had we been in Azerbaijan. From here, we also easily maintain contacts with international organisations. We supplied them with information we had received. They took account of it, using it. We maintain constant contact with members of the Parliamentary Assembly of Europe. Earlier, we faced problems leaving Azerbaijan. However, now, we are in Europe, being able to easily travel to Strasbourg and Brussels. They even arrive here to visit us. [Netgazeti] In your opinion, has anything changed in Azerbaijan in terms of human rights after you left? [Leyla] Up to January 2013, the situation was difficult in Azerbaijan in general. However, NGOs, including those not registered, nevertheless managed to work. There was even independent media. The turning point was in January 2013, when a German MP prepared a resolution on political prisoners in Azerbaijan to be adopted by the PACE [Parliamentary Assembly of the Council of Europe] at the January session. He was an official rapporteur on political prisoners in Azerbaijan. However, Azerbaijan denied him a visa, preventing him from arriving in the country. The PACE chose to maintain silence. His [the MP's ] office closely cooperated with human rights activists in Azerbaijan. I personally included a lot of information in the resolution draft. We all were sure that the resolution would be adopted at the January session. The fact that the resolution was neglected came as a major blow to us. By doing so in January 2013, PACE members gave the green light to repressions in Azerbaijan. Arrests have continued up to now. No NGOs or independent newspapers have remained there. For political reasons, 161 people have been arrested. All this is happening because the Azerbaijani authorities spent about 3bn dollars to bribe those, who voted against the resolution. The Azerbaijani authorities managed to do what no-one has ever done. They bribed European politicians spending billions. As a result, this deprived Azerbaijan of every opportunity of democratic development. Until they use force against them, people will die in prisons and from torture. [Arif] All I can add to the aforementioned is that as a result of repressions, all buds of Azerbaijani society were destroyed. Earlier, Azerbaijan was viewed as part of the South Caucasus. However, at present, it is in Central Asia in political terms. Today, it can be compared to Uzbekistan. Then, it will resemble Turkmenistan, and at this rate, we will even draw closer to North Korea. Despite many problems, democracy and freedom of speech are in a much better situation in Georgia and Armenia. This is really heart-breaking and disappointing. [Netgazeti] Since we touched on the region, I would like to ask you about Afqan Muxtarli. What is your opinion of the political situation in Georgia after his abduction from Georgia to Azerbaijan? [Arif] I would compare this fact with the 3bn bribery. Until then, Georgia was a beacon in our region. We believed that Georgians were building a country of European values and that similar developments might also unfold in Azerbaijan. The Afqan Muxtarli case has shown that from the democratic and legal points of view, Georgia is still facing many problems. However, Georgians used to claim that they were part of Europe rather than the South Caucasus. The Muxtarli case showed that Georgia has fallen under Azerbaijan's strong influence. Otherwise, without the consent of Georgian law enforcers, no-one would have gone this far. Of course, all this has aroused the feeling of insecurity among many Azerbaijanis currently staying in Georgia. If Georgia is truly following the path of European integration, all of those, who took part in this, should be punished. When we addressed our Georgian colleagues, they told us they could no longer do anything. Those, who said this, were the people, who are currently in the Georgian government. It is really disappointing to learn that they themselves admit their dependence on the Azerbaijani authorities. [Netgazeti] Would you go to Georgia if [necessary] conditions were created? [Arif] After the Muxtarli case, I would probably not. I love Georgia, but for us, it is so dangerous to go there, that I would refrain from a visit. [Netgazeti] You have written a book about Azerbaijani prisons. Could you please tell us more about this? [Arif] Leyla and I have finished working on our joint book, which is now being edited. The editor is an old friend of ours - Soviet dissident Aleksandr Podrabinek, who lives in Moscow. He is going to be the editor of the Russian version of the book. The book comprises two parts. The first part is memoirs. We speak a lot about a pre-trial detention centre. However, people do not know what this is. This is a closed secret structure under the Justice Ministry. My book is about the hardships I suffered there, about what psychological and physical torture in Azerbaijan implies, and what I went through there. The second part was written by Leyla. The title is "From Soviet camps to Azerbaijani prisons". [Leyla] I began writing my part in an ordinary 48-page notebook, when I was in the pre-trial detention centre despite the fact that I was aware of risks. I used to write the text in two notebooks. During the first search, the supervisor took away one notebook. I copied [the text] from the second notebook to a third notebook and then, to a fourth and fifth. It did not come to the prison supervisors' head that I could write the text in five notebooks. It was precisely the fifth one that I took out of the prison. However, I cannot tell anyone how I did this. Being a historian, Arif considered the notebook as historic, deciding to keep it. He sent the notebook in a usual parcel together with pahlava [sweet pastry] to our son in Amsterdam. Instead of the notebook, our son received two packs of pahlava. They checked even parcels. Can you imagine that? However, they did know that we had already stored it on a computer and memory sticks. We published one part of our memoirs in the American magazine The Time. [Arif] [In the book,] Leyla describes the life of dissidents in the Soviet time, how the Soviet Union collapsed, how [former Azerbaijani President] Heydar Aliyev came to power and what happened during the next 25 years. I was in different conditions in the pre-trial detention centre. I had no notebooks. I saw no supervisors during the first eight days. I was kept in a very small cell in complete isolation. Three times a day, they opened only the small window to give me some food. I could not even see the hands. I suffered two types of torture - psychological and physical, of which psychological was much worse and much more difficult. After torture, I suffered acute pains to be followed by hallucinations. In the book, I describe what I did to survive. One of the ways was beginning to think of writing a book. [Netgazeti] Is an Azerbaijani version of the book going to appear? [Arif] At the moment, I am preparing a contract with Polish and English publishing houses on publishing the book in these languages. By now, I am not thinking of publishing the book in the Azerbaijani language. The book is sure to cause a wave of hatred and insults, as it mentions the names of real people. This is not a philosophical interpretation. This is history. [Netgazeti] I would like to ask you about yet another lawsuit, in which the Azerbaijani authorities filed a complaint against a French TV station. What are your expectations regarding the lawsuit? [Leyla] I am sure that [incumbent President Ilham] Aliyev filed a complaint against French journalists, rather than, say American, German or other journalists [who wrote the same] [square brackets as published], because they have spent money on bribing precisely French politicians. Appearing in court as a witness to the case, Arif felt sick and the judge called for an ambulance. In my opinion, they understood what happens to people after suffering tortures there. The judge said that the decision would be announced on 7 November. [Arif] In European courts, every person's life is considered as important. Speaking about my own experience and the torture [I had suffered], I could see people's shocked faces in the courtroom. There was complete silence in the courtroom. An even greater shock followed, when I began speaking about court hearings in Azerbaijan. I told them that an hour before the court hearing, a security doctor gave me two injections - one analgesic and one opiate. I also told them that during the court hearing, a doctor was sitting next to me behind the bars to give me injections every 30-40 minutes to black me out. When the judge announced his decision, I was unconscious, coming to senses in 20 minutes after the hearing was over. The doctor told me that everything was fine and that I was sentenced to seven and a half years. Then, I asked him about Leyla and he said that she was sentenced to eight and a half years. Now, doctors forbid me from recalling all this, as my blood pressure immediately rises. I am 99 per cent certain that French court is not Azerbaijani court and that the result will be different. [Netgazeti] Do you think that the French TV is going to win the case? [Arif] I am sure. The court proceedings are going to last very long. The Azerbaijani side decided to hold the whole of court proceedings in a day. At the beginning, the hearing was attended by representatives of the Azerbaijani Embassy [in France], those of the Association of Azerbaijan's Friends, senators... [Ellipsis as published] However, six hours later, there was no-one in the courtroom, except the lawyer. Everyone had left the courtroom, because it was clear for them that the arguments presented by the Azerbaijani side were not serious. They had prepared for the court in the manner they did for Azerbaijani courts. Therefore, I will be extremely surprised if the court makes a decision in favour of the Azerbaijani side. [Netgazeti] Did they put pressure on your because you appeared in court as a witness? [Leyla] No, they did not. It was in Azerbaijan that we were under pressure for the last time. On our arrival here, our lawyers told us that they might have asked the Interpol [to put us on the wanted list]. Correspondingly, we appealed to several agencies and the Dutch Foreign Ministry sent a letter to the Interpol, saying that they should not consider the case, if the Azerbaijani authorities [asked them to] put us on [the Interpol] wanted list. Correspondingly, the Interpol is defending us, as we are being prosecuted on political grounds. Today, we are a clear example, which shows how the authoritarian regime is trying to use the Interpol for its own benefits. [Netgazeti] Do you expect the situation with human rights to change for the better in Azerbaijan in the near future? [Arif] In this regard, Leyla and I take different approaches. Back in 2007, I published the book "Azerbaijan at the beginning of the 21st century", in which I described the threats the country was facing. In contrast to Georgia and similar to many other post-Soviet countries, the Soviet political system is still preserved [in Azerbaijan]. The only change we made was that of the name. However, we preserved the former Communist Party, although under a different name. The former prosecutor general is now president. As for prime ministers, they had no particular role in the Soviet time and they currently have none, either. The constitution is a document of minor importance. Elements of monarchic despotism have also been added to this rigid centralised system. As for Georgia, it changed its political system. To improve prospects, you have to change the system [in Azerbaijan], based at least on the example of Georgia. However, at present, we are busy disputing, which country we resemble more - Nicaragua, Nigeria, Turkmenistan, or Uzbekistan. Elections are only an imitation. At the moment, Azerbaijan is undergoing the process of forced radicalisation. There is no opposition. There are only dissidents and NGO-type formations. However, this is not the opposition, which would be capable of doing something. All that has remained after attacks on pro-Western forces are pro-Russians, pro-Islamists, and believers. They do not even think of politics. In my book, I write that in the provinces, people only think about their families, jobs, and going to mosques. However, even such people get arrested and beaten. That is why we cherish no hopes. [Leyla] I am not optimistic that in terms of liberalisation, changes will take place in Azerbaijan in the near future. If earlier Azerbaijan relied on pertodollas, the flow has slowed down now. In my opinion, Azerbaijan is on the verge of some serious social changes at present. Pinocchio!!!!!!!!!!!!!!!! The nose getting bigger by the minute. Europe, Azerbaijani President Ilham Aliyev said. parliamentarians, journalists, and citizens have reacted accordingly,"
attitude is toward Azerbaijan. Its attitude was extremely negative,"
Partnership summit in Brussels in November. Eastern Partnership program all along," he said. politics, security, economic, and financial resources," he said. the most important issue within this framework," he said. I read the said article and felt the same way, decided not to post it so that it doesn't get any exposure. But it would have been a good article for ridicule, because the way it's written even an uninformed reader would see the bias and writer for hire situation. To back up his fake claim, the author mentions that complaints by citizens of Armenia last month about a government official’s announcement to provide more support to Russian language programs “closely aligns with the position pushed forth by some elements of the US-based diaspora and their American-linked associates in Armenia." The fact is that not a single person in the entire diaspora said one critical word about the Russian language. Korybko then resorts to another unwarranted exaggeration by claiming that the Armenian Education Ministry “felt pressured to cave in to their diaspora’s demands and reaffirm that Armenian is the only national language in the country…. Whether he intended or not, [Education Minister Levon] Mkrtchyan fell into the information warfare trap laid out for him by the cunning minds organizing the US-based diaspora’s political activities.” This is yet another pure invention by the author! Being master of one's moods is the privilege of the larger animals, the hero of Albert Camus’s novel “The Fall” believed. The statement seems equally true and false once you get familiarized with the reaction of Azerbaijani leadership to the criticism by international community in general and the Council of Europe in particular. The Hasanov’s logic reveals that everyone - the Armenians, NGOs, racists, islamophobes are guilty for the situation in the country, except Azerbaijan itself paving its way due to own mood, headed by its “big” leader without yielding to others’ considerations. The title and the heroes of the mentioned novel by Camus come to perfectly showcase the current European policy of Azerbaijan at the formal and the lobbying domains alike. It is in downfall and gives much food for thought to both the Europeans and the Azerbaijanis. The Absheronian country complains about as they claim the policy of double standards by Europe. They are angry with the European Union’s reluctance to unequivocally recognize its territorial integrity, deem inadmissible the calls of the Secretary General of the Council of Europe to free political prisoners as well as disregard the PACE reports, threatening to reconsider relations with the European structures. Europe, on its part, is in perpetual existential searches while building relations with Azerbaijan. There are geopolitical and energy interest from one hand, from the other hand, Azerbaijan appears to be out of Europe not only geographically but in terms of the value system. It could be enlisted among Asian dictatorships, rather named as an eastern neighbor to EU for strengthening political dialogue based on democracy, human rights and the rule of law. The recent revelations about the Azerbaijani dirty lobbying schemes clearly showed the country is unable to organize its internal life through democratic and legal mechanisms, likewise it is not shy at employing immoral and illegal schemes in international relations. With all this in mind, the Azerbaijani disappointment with the European criticism seems bizarre that otherwise would be tolerated should they had gained consoling formulations from the PACE about the NK conflict. In its previous reports on Azerbaijani poor human rights record, democratic institutions PACE used to include certain pro-Azerbaijani formulations regarding the Karabakh conflict. However, the things have changed over the past years with Azerbaijan suffering defeats here as well, failing to maintain the balance and thus laying the grounds for its desperate appeals to withdraw the organization. By and large, why does Azerbaijan need the Council of Europe advocating for democracy if it fails to receive desirable documents on NK conflict? No secret. Azerbaijan is completely anti-democratic state run by a family-clan regime with no signs of democratization in the visible future. This type of ‘freefall’ at European structures compels Azerbaijan to look for other directions to break its isolation in Europe and struggle the alienation. Instead of blaming others for own failures, at this stage Azerbaijan should confess it is in total fiasco with its European policy. Accepting a defeat with dignity is a virtue that Azerbaijan lacks as well. Azerbaijani opposition journalist Fikret Huseynli, a political migrant in the Netherlands, was detained on Saturday, October 14 after arriving at the Boryspil airport in Kiev. He managed to inform by phone that he was detained after Azerbaijan sent a request to Interpol. However, he does not know the essence of charges brought against him, Contact.az reports. Huseynli has already obtained Dutch citizenship and cooperates with the broadcasting television channel Turan TV from abroad. The journalist fled Azerbaijan 10 years ago after he was abducted and severely beaten. The kidnappers were never identified. Where are the human rights activists? to Azerbaijan on October 13, according to the Caucasus Knot. a criminal offence in Azerbaijan but nowhere else in the world. Azerbaijan for having visited the occupied region of Nagorno-Karabakh. after being severely beaten and reportedly becoming suicidal. 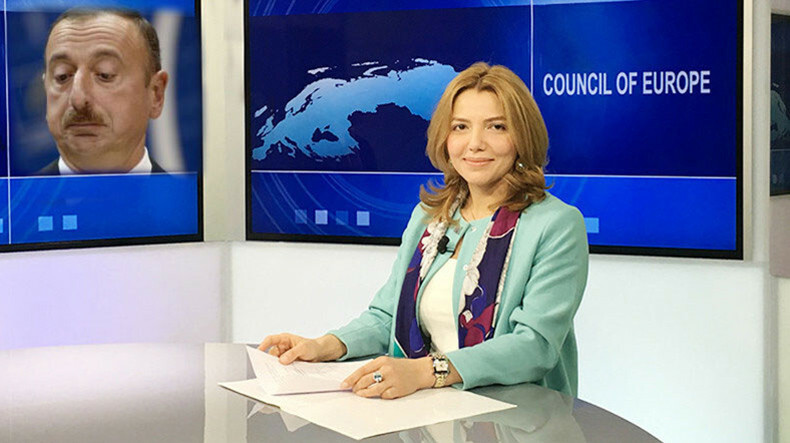 speech, Azerbaijan's future in the Council of Europe is uncertain. the press release of the Justice Ministry of Russia. of the film has been banned in Russia. which destroys mosques, can never be a friend of Muslim countries." requires the Armenian side to "liberate the occupied territories". Artsakh and the "Revival of the Eastern Historical Heritage"
Walking uphill from the Heydar Aliyev embankment, along the Koura Rver, we stroll the grounds of Tbilisi’s Saburtalo district. After passing shiny modern buildings under construction, we arrive on Almasiani Street, a dusty lane squeezed between two huge concrete Soviet apartment blocks. There, we are planning to meet exiled members of Azerbaijan’s shrinking civil society. I go to a nearby store looking for something to snack on and come back holding a churchkhela, Georgia’s national candy, a sausage-shaped fried grape juice. I share it with our small group. Through friends, we had been put in contact with some Azerbaijanis living in the Georgian capital and are now eagerly waiting to meet them. Our contact, Lala Aliyeva, arrives a few minutes late. She is a journalist working for Chai Khana, a new online platform covering various aspects of life in the South Caucasus in five languages (English, Russian, Azerbaijani, Georgian and Armenian). Lala invites us to the offices of the Caucasus Civil Initiatives Center, a local NGO, where we meet Zohrab Ismayil. Back in Azerbaijan, Ismayil had been the chairman of the Public Association for Assistance to Free Economy (PAAFE), a Baku-based NGO focusing on transparency, government accountability, economic freedom and respect for property rights. Between 2013 and 2015, following the EuroMaidan revolution in Ukraine and the shady re-election of Azerbaijan’s president Ilham Aliyev (the son of the former president Heydar Aliyev) for a third term, the Azerbaijani government, already one of the most restrictive regimes on the European continent, introduced a series of new laws and regulations affecting NGOs, their funding and activities. This allowed for an unprecedented crackdown on the NGO sector between 2014 and 2016. Ismayil was summoned twice to the prosecutor general’s office to be interrogated. His NGO’s bank accounts were seized after a closed court hearing and his own assets were frozen. Ismayil’s case was far from isolated. Journalists and media outlets (including Radio Free Europe/Radio Liberty), human rights advocates and political activists were pressured, forced into exile or, on the contrary, forbidden to leave the country. Dozens of local groups faced charges and NGOs, including international ones such as Oxfam and the Open Society Foundation, had their accounts seized and offices closed. Most of the prominent members of Azerbaijan’s civil society ended up behind bars or in exile. Even though some activists like the journalist Khadija Ismayilova, human rights lawyer Intigam Aliyev, or human rights activists Anar Mammadli and Rasul Jafarov have been released, their criminal records remain in place, and in the case of Intigam Aliyev, his travel ban as well. To this day, there are still around a hundred political prisoners in Azerbaijan. Zohrab Ismayil, the activist we are meeting in Tbilisi, has been in exile since August 2014. He has had worked as a fellow at Michigan State University for a year before joining other Azeri activists in Georgia, such as Amin, a young lawyer. Amin is also a member of the Caucasus Civil Initiatives Center, which conducts research, organises regional projects and training for young activists and advocates for greater transparency. Azerbaijan is a “captured state” – a concept fathered by the IMF to describe a form of grand corruption. It means that the entire decision-making process and the state apparatus are used to serve private interests and the enrichment of a small caste of oligarchs. Azerbaijan is Europe’s most captured state. Its fragile economy rests solely atop its oil reserves. The oil and gas rent, however, does not seem to benefit anyone but the Aliyev clan and the vanity architectural works in Baku – partly Dubai-style pet projects, partly money laundering schemes. With the socio-economic situation getting worse, repression strengthens to defend the fragile stability. But with a silenced opposition and an entire state apparatus answering to the Aliyev clan, the Azeris have slowly lost the will to openly oppose their government. Half of them work, in one way or another, for government-related organisations. In every family, at least one member is a state employee. They could face repercussions, be forced to resign, have their advancement blocked or be fired if one of their relatives is whispered to be a member of the opposition. Moreover, there are few opportunities for the opposition in the media, nor is there any money. While the opposition exists, it is in a worse shape than under the Soviet Union, when it could only operate underground. To join the opposition would be very risky due to the reasons outlined above. Besides, there is not much to join. There are a handful of opposition parties which are too weak to properly organise any campaigns or protests. Moreover, there are no free unions. The state has successfully created cynical citizens willing to protest, but unable to do so, repressed by social pressure and fear. “We have lost, as a nation, the will to gather together,” Amin explains to us. When protest is in the air, the Aliyev regime has a secret weapon up their sleeve: Nagorno-Karabakh – the never-ending frozen conflict with Armenia over the disputed separatist region. No one benefits from the Karabakh conflict as much as the Aliyev family. Not only does it give them legitimacy as Azerbaijan’s defenders, it also chokes the entire public political debate. When in April 2016, after several years of socio-economic crisis and a growing critique of the government, the Azerbaijani armed forces launched an offensive against the Armenian positions in the mountainous region, the opposition mainly fell in line and unanimously supported the troops. No prominent opposition force in the country thinks Azerbaijan should give up on Karabakh. As Ismayil puts it: “Many Azeris believe that if Azerbaijan has strong economic development, a strong democracy, a strong army and real power, it will be useful for the resolution of the Nagorno-Karabakh conflict.” Even when it comes to economic development, getting Karabakh back remains a means to an end. The picture was not always so grim. Azerbaijan has a track record of democratic rule. When it declared independence from the Russian Empire in 1917, it was the first democratic republic in the Turkic world. It was also the first Muslim-majority country to grant women equal political rights to men and in 1918 one of the first countries ever to allow women to vote. It had a free and diverse press, including the famous progressive satirical journal, Mollah Nasreddin, which has since achieved cult status and became the symbol of the century-old tradition of Azeri progressive secularism. At the fall of the Soviet Union, Azerbaijani civil society was strong and active. When Heydar Aliyev took power in the 1990s, he was opposed by huge political organisations and republican movements. Azeris are proud of that heritage and they suspect that the European institutions do not pressure the state the way they do Belarus, as they are afraid that without Aliyev in power, the country will turn into an Islamic republic. Amin and Zohrab Ismayil claim, however, that Azerbaijani society and the opposition are deeply secular and there is no real threat of extremist religious groups. They both have hope. The opposition who challenged Heydar Aliyev has survived, even though the civil society has been significantly repressed. They believe that the authorities cannot reach them everywhere, especially in Azerbaijan’s rural areas where the state is less present. The opposition has observed Ukraine and Georgia and learnt from their successes and mistakes. Next time Ilham Aliyev’s power is shaken, they will be ready to act, they assure us: “Political rights are okay, but when you work 60 hours a week, you don’t need values. We should focus more on the economic and social rights than political rights,” Ismayil says. A remark that seemed directed at the European Union. But the two issues are not so far apart. After all, most journalists in Azerbaijan are women and when the change arrives, women will likely be its prime vector. Valentin Luntumbue is a Belgian writer, independent researcher and College of Europe alumnus based in Brussels. A French court has rejected a lawsuit by Azerbaijan’s government against two French journalists it accuses of defamation in a case described by the defendants and media freedom activists as an attempt by the South Caucasus nation's authorities to export censorship beyond the country's borders, RFE/RL reports. Broadcast journalists Elise Lucet and Laurent Richard were accused in the lawsuit of defaming the Azerbaijani government by referring to it as a "dictatorship" two years ago, when then-French President Francois Hollande was visiting the Caspian Sea country. The case was the first time that a foreign government had brought a defamation suit against journalists before a French court. "The press law has been put in place to prevent political censorship," the president of the court in the Paris suburb of Nanterre said in the November 7 ruling. Introducing an investigation program about the background to Hollande’s trip on the France 2 television channel in September 2015, Lucet described Azerbaijan as "one of the world's harshest dictatorships." In an interview with France Info radio, Richard referred to Azerbaijan as a "dictatorship." "This decision was a very strong signal to the Azerbaijani government that they could not carry out their censorship outside the country," Richard told RFE/RL after the decision was announced. In an exclusive interview with Current Time reporter, Azerbaijani investigative journalist Khadija Ismailova touched upon the noisy corruption scandal which involves the Aliyev family. In recent decades, Baku, outwardly, reminds of a western city, where the desire to quickly overcome European integration challenges is noticeable. There are many similar buildings in the central part of Baku where some street names are written only in English. Though, all this is only an outward impression. In fact, Azerbaijan is among the most corrupt countries in the world where there is no freedom of speech and media, and any manifestation of critical thinking is punished with imprisonment. Continuing the traditions of his father Heydar Aliyev, Ilham also prefers to keep the levers of power and almost everything under the control of his family. After the referendum held in 2016, the post of Vice President was added in Azerbaijan which Ilham Aliyev conveyed his wife Mihriban Aliyeva, and their eldest daughter was appointed as the director of the Heydar Aliyev Foundation. “Since 2008, due to the large flow of foreign investments, about 130 billion dollars was invested in Azerbaijan, but it is not known how the money was spent,” said investigative journalist Khadija Ismailova. Khadija Ismailova, former Azeri correspondent of Azerbaijani service the radio Freedom, is perhaps the only investigative journalist in Azerbaijan who managed to reveal the details of the state scale scandalous corruption history with the participation of Aliyev family. “It turns out that the oil boom started in here and ended, but nothing has changed in our country,” said Ismailova. As a result of harsh criticism and pressure by many international human rights organizations and activists against the verdict, imposed on these political motives, in 2016, after six-month imprisonment, Khadija was released. “I have investigated the details of the activities of the businessmen belonging to the Aliyev family, and I can say that all these companies have one common thing: they are all badly guided… There has been no case in Azerbaijan, disclosed by us, that the Prosecutor General’s Office investigated. There has been no such case. We have discovered that offshore companies linked with British companies also belong to Aliyev’s daughters. When this story came to the surface, negatively affecting the income and reputation of those companies, the Aliev family decided to sell them. And whom did they sell them again? To the Government… And it turns out that we – citizens, had to pay for it again… The family works here, but they have created such a system that nobody in this country, no one, except them, can afford to make big money. And not only large amounts of money, but in general, to make any money. It’s like a game called Tables, when closing and holding all your positions, you do not have any opportunity to move. Because starting from that moment, when people begin to move freely, that is, to earn enough money and live a good life, they will start to raise other issues … this is what our government does not wish,” Investigative journalist Khadija Ismailova told a correspondent of The Current Time. The latest investigation by the British magazine The Guardian, in which Khadija also took part, revealed a secret bank account owned by the government of Azerbaijan, with $ 3 billion used to bribe high-ranking European politicians. Ali Hasanov, Aliyev’s advisor, called the publication of The Guardian as “poisonous”, adding that the initiators are British secret services, the Armenian Diaspora, and the United States of America. Democracy a la fake sultan style! Western politicians will permit this as long there is oil and laundromat payments. Fake sultan rules with dictatorship while Western governments with bribe. EurasiaNet website has made a reference to the amendments to Azerbaijan’s civil code adopted by the country’s parliament on 31 October, characterizing the move as a test of patience of the western governments. According to the source, the amendments would effectively bar roughly 90 percent of the country’s legal professionals from practicing law. The changes will take effect on 1 January 2018. “Observers characterize the move as the latest and most decisive step in an escalating crackdown on the country’s few remaining human rights lawyers. Less than 24 hours after Azerbaijan’s parliament ratified the changes, several lawyers reported being summoned to their local police stations, where they were told they were no longer licensed to practice law and would be subject to arrest or fines if they continued,” EurasiaNet wrote. The article noted that Azerbaijani lawyers are either vəkillər, licensed bar members who pass a series of written tests and a highly politicized oral examination, or hüquqşünaslar, registered lawyers who have not passed the bar but, until now, have been entitled to represent clients in all non-criminal courts. “Under the amendments, an estimated 8,000 registered lawyers stand to be barred from representing clients in any Azerbaijani court, leaving a nation of nearly 10 million people with only 934 registered legal professionals. At roughly nine lawyers per 100,000 people, that would be a ratio that is 18 times lower than the European average, and by far the lowest figure of any Council of Europe member. The amendments could turn out to be an attempt to bully independent-minded hüquqşünaslar into submission, rather than legislate them out of existence. They also may constitute a test case in which Azerbaijan is pushing the boundaries to see how far western governments will permit Baku to stray from its international norms governing basic rights without facing serious consequences,” reads the article. Newspaper: “Fight” between Armenia MP and Azerbaijan president to continue in Baku? YEREVAN. – The Parliamentary Assembly of the Council of Europe (PACE) Committee on Migration, Refugees and Displaced Persons will hold its next meeting in March 2018 in Baku, the capital city of Azerbaijan, according to Zhamanak (Times) newspaper of Armenia. And Armenia will be represented at this event by National Assembly (NA) vice chairperson and head the NA delegation to the PACE, Arpine Hovhannisyan, and chairperson of the NA Standing Committee on European Integration, Naira Zohrabyan. “It can be assumed as to what kind of a panic this information has caused in Baku, considering the tense relations between Naira Zohrabyan and Azerbaijani President Ilham Aliyev. “It is not ruled out that the antifascist fight will get a continuation this time, too,” wrote Zhamanak.